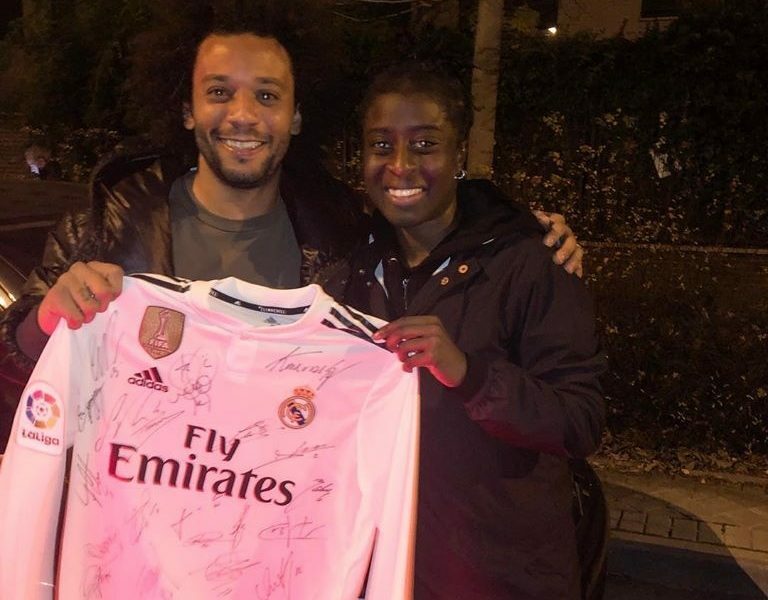 Real Madrid CFF women's team forward Eunice Nketia Beckmann celebrated her Christmas with the homeless and needy. The 26-year-old who touched down in her native country for charity work on the eve of Christmas day where she fed street Children. Eunice, who was born in Germany to Ghanaian parents plans to feed hundreds of street kids in Ghana and will be sending at least 3 of them to school. Her ultimate goal is to inspire young and talented boys and girls across Africa and the world at large to reach & exceed their potential. However, Beckmann also made a donation to support at least three of the children in school continued her kind gesture by putting smiles on the faces of the homeless during Christmas day. Beckmann has represented Germany at junior level hence eligible to play for the Black Queens. Eunice Beckmann currently plays for Madrid CFF. She previously played for a Swedish team called Linköpings FC for 6months and signed with Bayern Munich for 2 1/2 years. After Bayern Munich, she played for the Boston Breakers for one season and signed with FC Basel for 1 1/2 years where she netted 26 goals in 29 appearances for the Swiss outfits. The ex-Bayern Munich goal poacher is expected to depart to her base in Spain next week. 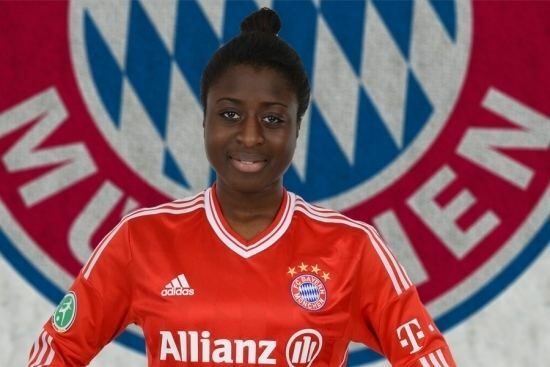 Eunice Beckmann is undoubtedly one of most endowed strikers in Europe with her numerous goals and skills.